Dr. Daniel Turack D.C., M.S.H.N, is a Chiropractor and Nutritionist that has a deep interest in the health of the human body. 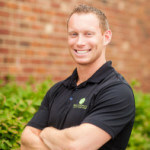 He has extensive post graduate training in Manual therapy techniques including soft tissue diagnosis and treatment, functional movement assessment, rehabilitation, as well as functional nutrition, detoxification and lab diagnostic work. When working with individuals, Dr. Dan takes great pride in their whole body health as well as their families. He will work with you to establish an appropriate course of treatment and clearly defined goals that will track your progress throughout care. Dr. Dan has a special interest in amateur and professional athletes, and works with them to optimize their performance and extend their careers. In his free time, Dr. Dan enjoys Crossfit, exercising, snowboarding, wakeboarding, and anything that is outside and active. Follow Dr. Dan on Instagram! Subscribe to Dr. Dan’s Plan on YouTube! 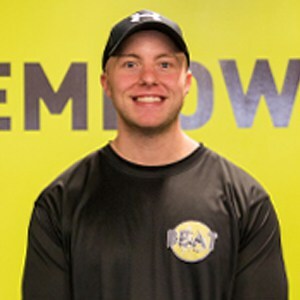 Brian Tevis, our Head Trainer at Beat Fitness, graduated with a Bachelor of Science in Sport Management, Wellness and Fitness from California University of Pennsylvania and with his Master of Science in Exercise Science and Health Promotion from California University of Pennsylvania. Brian is a Certified Strength and Conditioning Specialist through the National Strength and Conditioning Association (NSCA), as well as the Performance Enhancement Specialist through the National Academy of Sports Medicine (NASM). He also holds various ACE-approved instructor training certifications through WeckMethod. Brian brings the experience of having his Red Cross CPR/AED certification to Beat Fitness. He has worked closely with athletes ranging from high school to collegiate level with the personal training exceeding 9 years of experience. He was a volleyball athlete in high school and transitioned into a high school and club volleyball coach. Brian understands and appreciates the importance of rotation and compression in regards to human movement and performance optimization. 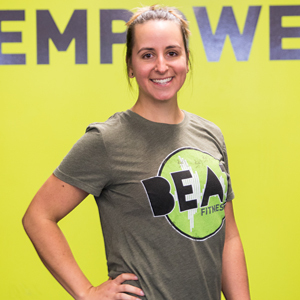 Stephanie Sholhead has a degree in Clinical Exercise Science from Ithaca College and her NASM Personal Training Certification. In addition, she has her CPR/ AED certification and a Brains and Balance Past 60 certification, which is a Silver Sneakers Flex program. She knew fitness and health were her passion after rowing in high school. Stephanie has been personal training and coaching for 5 years. She has worked with clients ranging from age 14 to 87. Stephanie understands that each member is different and needs to be met where they are ready to make changes. She understands the importance of an active lifestyle in health, wellness, mobility, strength, and aging. She rowed at Ithaca College and competed in the 2011 NCAA championships taking 4th team in Division III. When she is not at BEAT Fitness she can be found helping Dr. Dan in the office or on the Allegheny River in the evenings.